Why, we're having Festive Meat Loaf, Zucchini with Tomato Sauce, and Straberry Bavarian - all made with recipes from my new cookbook! Yes, you get that wonderful Dr Pepper goodness in every bite! Mmmm-mmmm! Aren't you hungry already? 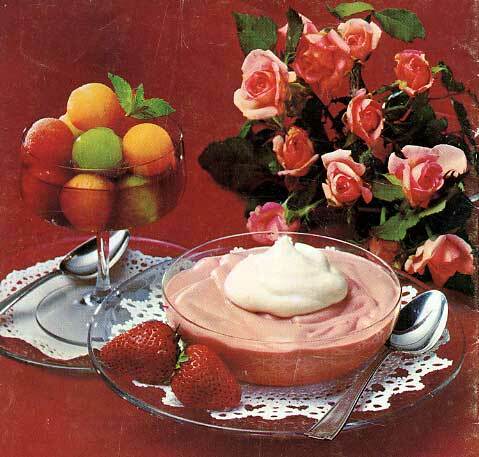 Pictured alongside the creamy dessert is Melon Cup floating in lemon juice and - you guessed it - Dr Pepper. 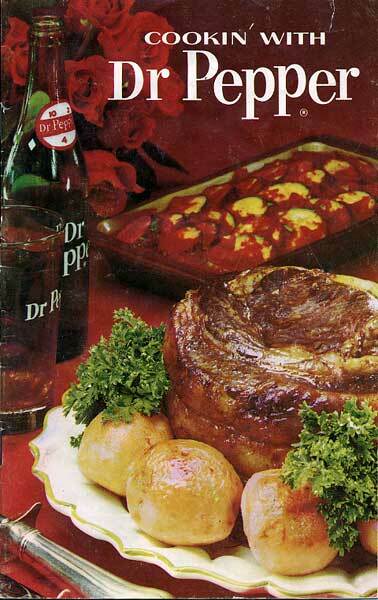 Missing from the book is the infamous Hot Dr Pepper drink, best served with a fresh slice of lemon. 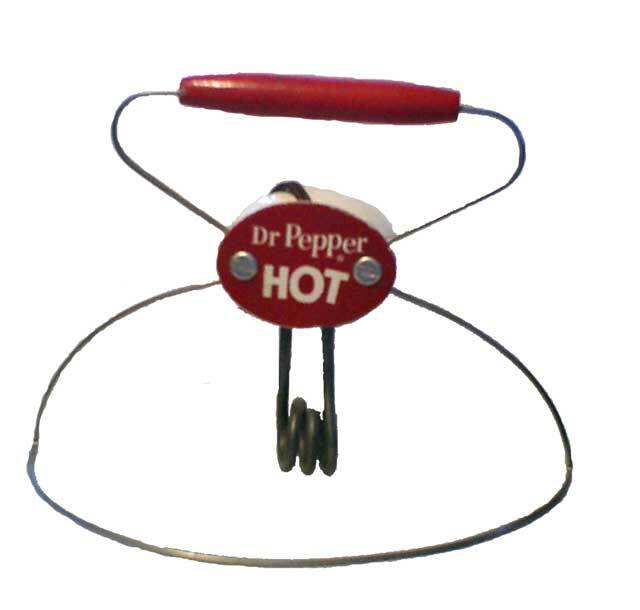 You must make it with your very own Dr Pepper immersion heater. But of course! Why, it just wouldn't do to be caught using an ordinary immersion heater - or gasp! - a saucepan to warm your Dr Pepper.